In his letter to West Bengal Governor Keshari Nath Tripathi, former judge C S Karnan said he is ready to abide by any terms that may be imposed for granting bail to him. Kolkata: Former Calcutta High Court Justice C S Karnan has written to West Bengal Governor Keshari Nath Tripathi seeking bail or parole. In the bail plea, Mr Karnan said he is ready and willing to abide by any terms that may be imposed for granting bail to him. "We have moved a petition to the West Bengal Governor seeking bail or parole," Mr Karnan's counsel Mathew J Nedumpara said. The 62-year-old judge was sentenced to six months in jail on May 9 for contempt by the Supreme Court. After remaining untraceable for a while, Mr Karnan was arrested in Chennai and brought to Kolkata on Wednesday where he was lodged in the Presidency Jail. On Thursday, the former judge was admitted to a hospital. Mr Karnan appealed to the governor "to exercise the jurisdiction invested in Your Excellency and enlarge the prisoner, Justice C S Karnan on bail/parole in the interest of justice and equity," the petition said. Quoting the petition, Mr Karnan's counsel said: "The applicant is ready and willing to abide by any terms and conditions that may be imposed for granting bail or parole to him." 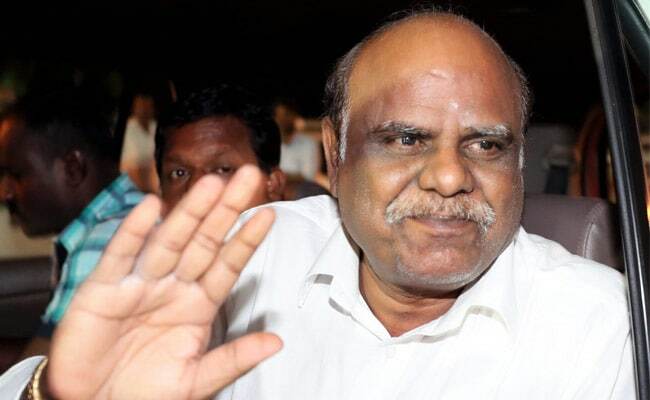 Making the representation through his lawyers, Mr Karnan said: "The imprisonment which the applicant undergoes as of now is without knowing the reasons for which he is imprisoned, and in violation of fundamental, constitutional, statutory and equitable rights invested in him." "Hence, it is requested that the applicant may please be enlarged on bail/parole till the said lacunae are remedied and constitutional supremacy restored," the petition added. Mr Karnan's lawyer said the a copy of the representation along with a covering letter has been sent to the West Bengal chief minister and state home and law minister.